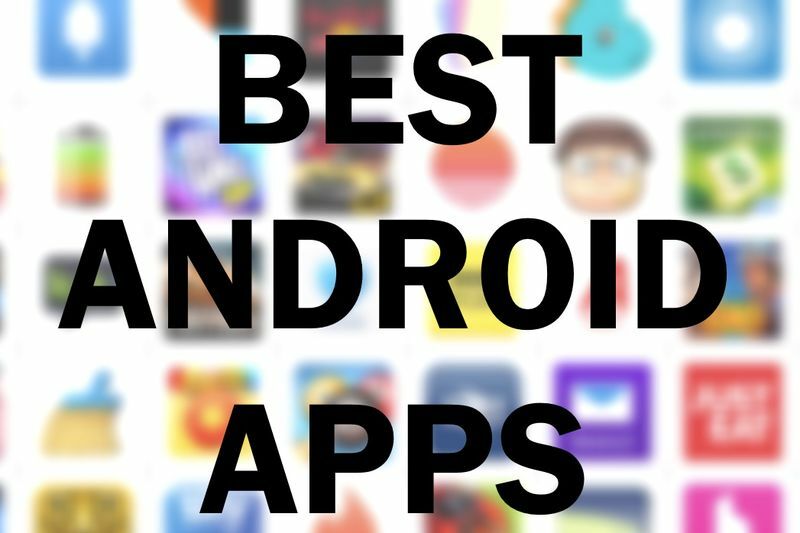 Everybody loves free apps, especially when it is educational or just pure fun to use, so, here are the top 10 free Android apps that you should download in 2019. Do you love the effect of a colour splash, but don't want to keep zooming in and dragging your finger around to highlight the colours? This app is for you then. Artificial Intelligence will take care of understanding the colour of your images, and then all you have to do is select the colours you want to activate in the smart generated colour palette. Atomus is a highly complex, kinetic and interactive visualiser, yet it is also an amazingly beautiful work of art. Atomus was designed to help people who want to think more creatively or who need a change of pace. Technically, Atomus was made with mathematics, physics, and 3D graphics technics; its rendering system was optimised using neon assembly codes for mobile computing environments. Atomus guarantees an impressive 60 FPS speed on any platform. This is one of the few apps available for animal lovers. The Safari Central preview app, launched in August of 2017, and gave the world a taste of what technology can do to bring people closer to conservation. The app brought six real animals living in the wild to life through augmented reality. Users could snap a selfie with a grizzly or cuddle up to a rhino, and watch wildlife appear in their own home and on their own streets, and even learn more about the animals while supporting their conservation. Instantly turn your smartphone into a simple motion measuring device with the Moasure App. Moasure's patented technology uses motion to make measurements, leveraging inertial sensors and a proprietary algorithm to deliver an innovative new way to measure objects. For basic measurements, the Moasure app will have you covered. Unfortunately, there's a learning curve. Due to it working off the gyroscope and accelerometer there are ways you have to hold and move the phone to get an accurate reading. Also, unfortunately, it forces you to watch the training video, and sometimes the training video doesn't mark that you've watched it. An innovative measurement app which uses augmented reality (AR) for quick room measurement. The AR technology allows the app to lay virtual tape-measures on a real-world surface, making measurement process and 3D floor plan creation much easier and quicker. With AR Plan 3D ruler app you can tape-measure perimeter and height of the room in Metric or Imperial units (cm, m, mm ruler app, inch ruler app, feet, yard), tape measure doors and windows as well as automatically calculate perimeter, floor square, walls square and other values, which might be useful for construction materials quantity estimations. With this app, you get to discover thousands of White Noise Market sounds and download them into White Noise for free. You get to browse featured sounds, recent sounds, or by sound category. Check out the latest chatter to see what sound everyone is talking about. Upload your own audio recordings from your unique part of the world. Navigate the world map to find unique sounds or search by keyword to find the perfect sound. The process of recording and sharing sounds is simple: just tap to start and stop recording your sound (it does the looping for you), add a photo and location (optional), and it instantly appears in your sound library. Sometimes we see something on the internet that we really want to read, but do not have the time to do so. Wouldn't it be nice to save these things so you can read them later? and what's better than doing this in a single click. InboxIt appears in the share menu so all you need to do is share the item to InboxIt and it will wait for you in your email inbox. Simply tap the InboxIt icon in the Chrome sharing menu or wherever else you're sharing from, and it will automatically email the link to the account you set up. Idea Note is the floating note-taking app that makes your day more efficient by converting your voice into text notes! Idea Note is not an ordinary note software because it greatly improves the input efficiency through speech recognition. At the same time, Idea Note also saves your voice file, so you can easily listen to your voice again. "IKEA Place lets you place true-to-scale 3D furniture in your home using the lens of your phone camera." Built on ARCore, the app lets you virtually 'place' IKEA products in your space. It also has a 'visual search' function: point your camera at any piece of furniture you love and your phone will tell you which IKEA product it is or resembles the most. The app includes 3D and true-to-scale models of everything from sofas and armchairs to footstools and coffee tables. IKEA Place gives you an accurate impression of the furniture's size, design and functionality in your home so you can stop wondering and start doing. The History of Everything uses some fancy scrolling mechanisms to allow the user to scroll and zoom the timeline, dynamically showing/hiding animated historic events as the available space allows. It is a vertical timeline that allows you to navigate, explore, and compare events from the Big Bang to the birth of the Internet. These events are beautifully illustrated and animated. The concept for this app was inspired by the Kurzgesagt video, Time: The History & Future of Everything. Video: Watch Someone Bend And Fold A New Samsung Note 8! Video: Samsung's Galaxy Note 8 Is Here!